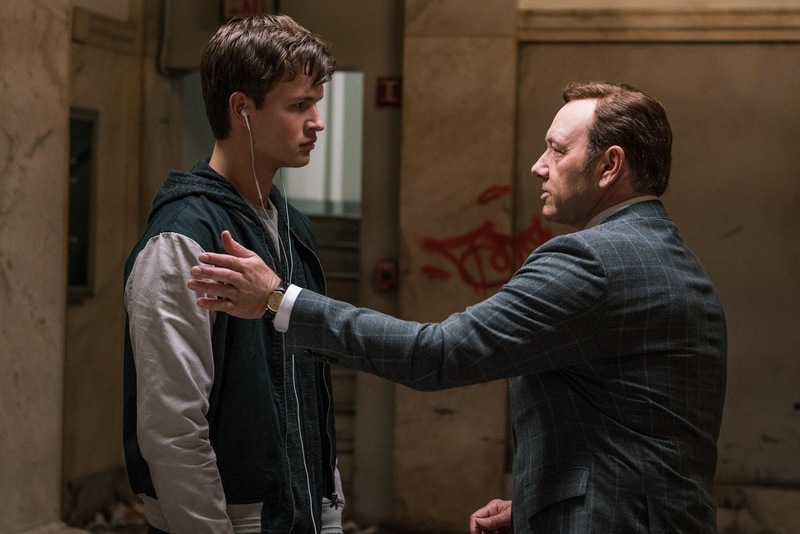 That’s Baby (Ansel Elgort), an innocent-looking getaway driver who gets hardened criminals from point A to point B, with daredevil flair and a personal soundtrack running through his head. That’s because he’s got his escape route plotted to the beat of specific tunes that go from his well-curated iPod straight to his ears, and which translate into expertly timed hairpin turns, gear shifts and evasive maneuvers that leave his passengers on the ride of their lives. Which makes Columbia Pictures' Baby Driver, with its mixture of mph and music, the newest explosion of genre-crossing excitement from writer-director Edgar Wright, an action thriller unlike any other. Baby works for Doc (Kevin Spacey), a kingpin on a lucky streak of brash daytime bank heists, thanks in part to his faith in Baby’s auto acumen. 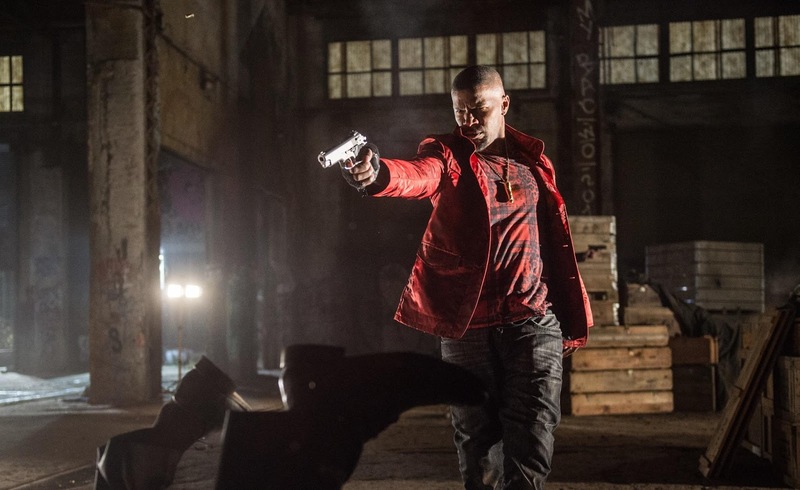 Doc’s go-to professionals include former Wall Street type turned outlaw Buddy (Jon Hamm), Buddy’s young, lawless and scandalous partner in crime Darling (Eiza Gonzalez), and the impulsive, gun-slinging Bats (Jamie Foxx), whose suspicions about Baby – from his attitude to his aptitude – begin to create a dangerous rift in an until-then smooth-running operation. Baby’s outward appearance – the sunglasses, the aloofness, the ever-present earbuds -- may suggest a kid in over his head, but his catch-me-if-you-can skills are second to none. And yet the encroaching demand for his talents, and what he’s doing with them, begin to weigh on his sense of right and wrong, especially when he falls for a sweet, kind-eyed diner waitress named Debora (Lily James), and a doomed job threatens his chance at love and happiness away from his perilous profession. Written and directed by Edgar Wright, BABY DRIVER is produced by Nira Park through her Big Talk Pictures, and Working Title principals Eric Fellner and Tim Bevan. Executive producers are Edgar Wright, Adam Merims, James Biddle, Rachael Prior, Liza Chasin, and Michelle Wright.